The EL Guiding Coalition is rocking and rolling this year! Below you will find some updates on the initiatives your fellow P2P Investors are working on. To lead and support a collaborative change effort to improve student learning and performance for English Learners. 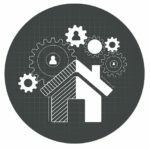 To build support structures that assist with the transformation of High Quality Teaching and Personalized Learning in Klein ISD. To support our District’s vision by implementing targeted initiatives and building capacity with other stakeholders to participate in these endeavors. In Klein ISD our vision is that “Every Student Enters with a Promise and Exits with a Purpose.” An integral part of this vision is that all of our students embrace and showcase their own diversity while learning about other cultures to build mutual understanding, respect, and empathy in a culturally responsive environment. 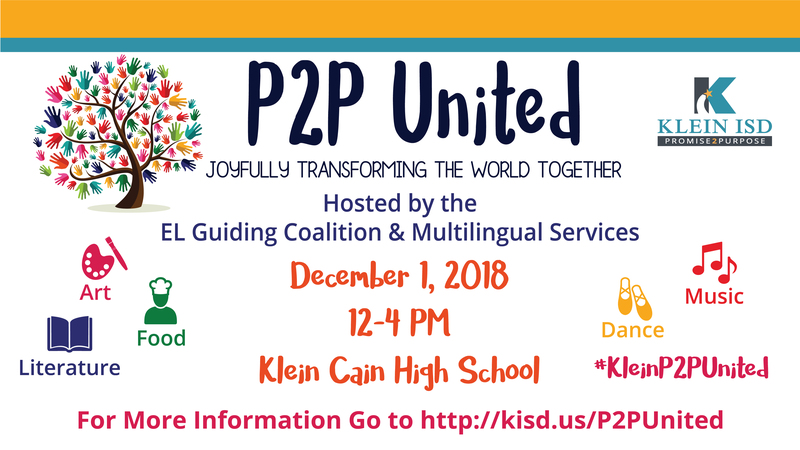 In order to further this vision, the Department of Multilingual Services and the English Learner Guiding Coalition are planning a large community engagement event called P2P United Multicultural Event Joyfully Transforming the World Together on December 1, 2018, from noon to 4 p.m. at Klein Cain High School. This event will include several booths, art displays, performances, among other entertaining and educational activities in collaboration with the Klein ISD community partners, parents, students, and staff. Visit the Multilingual Site in KleinQuest to fill out the form to participate or to volunteer in this exciting event. Goal 1 Reimagine Learning- In 2018-2019, KISD will close the achievement gap by 5 percent or more in grades 3-8 reading/writing on STAAR or English EOCs for English Learners. Goal 2 Building Community- By the end of the 2018-19 school year we will create and implement a culturally responsive and systematic approach to build a community of acceptance and support for the ELs in Klein ISD. 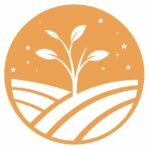 Goal 3 Cultivate Talent– By the end of the 2018-2019 school year we will provide the opportunity for teachers to continue their professional learning through TOT, EL Task Forces, and Professional Development.